Africa’s first national park, Virunga, is 90 years old today. While we celebrate this milestone with great joy, we are deeply concerned about its future. 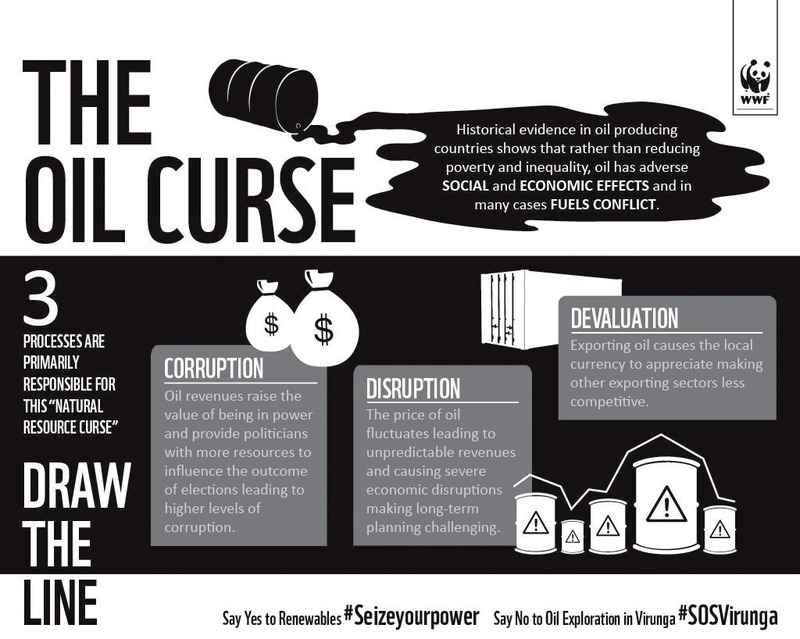 For while Virunga – including the people and species who live in and depend on it – has survived decades of besiegement to remain intact with unparalleled biodiversity, the threat of oil looms large over this unique wilderness. Straddling the Equator in eastern Democratic Republic of the Congo (DRC), this World Heritage Site covers 7,800-square kilometers (3,000 square miles) and it boasts a magnificent array of landscapes: savannahs, lava plains, swamps, lowland forests, active volcanoes and snow-capped mountains. It is also home to over 700 bird species and 200 mammal species. More than 100,000 people directly depend on the park for vital resources. Over the years, Virunga has been embattled constantly. Poaching, encroachment, neglect, civil unrest and large population displacements have all gravely impacted on the park, and the people and species that live and depend on it. Hundreds of rangers have lost their lives fighting to keep this precious yet vulnerable ecosystem safe. Notwithstanding those challenges, the park has endured and recovered multiple times. It now harbors about a quarter of the world’s 880 mountain gorillas, and the elusive okapi was rediscovered here in the 2006 after being considered lost for more than half a century. 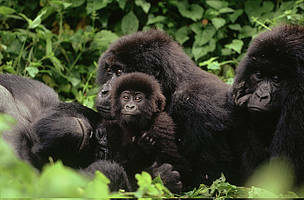 Following the end of the most recent conflict in eastern DRC, Virunga has reopened for tourism. 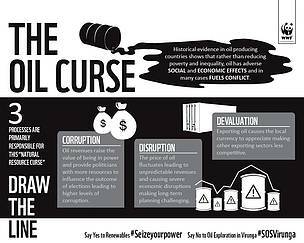 Sadly, it is now equally confronted with potentially the biggest threat in its history. The Congolese government has recently expressed intent to excise parts of the park, notably around Lake Edward, in order to allow for oil exploitation. 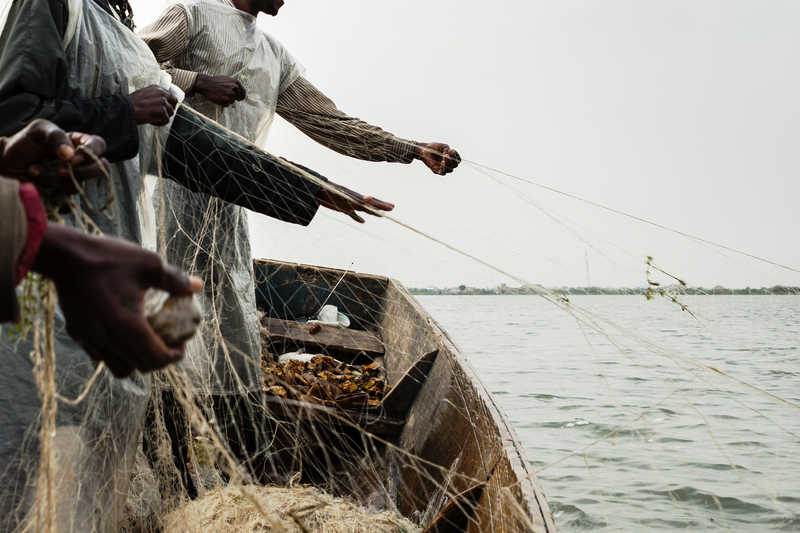 More than 50,000 people directly depend on Lake Edward for food and water, and fishing alone generates an estimated US$30 million a year. Two hydroelectric dams offer a unique green energy opportunity for the entire region. 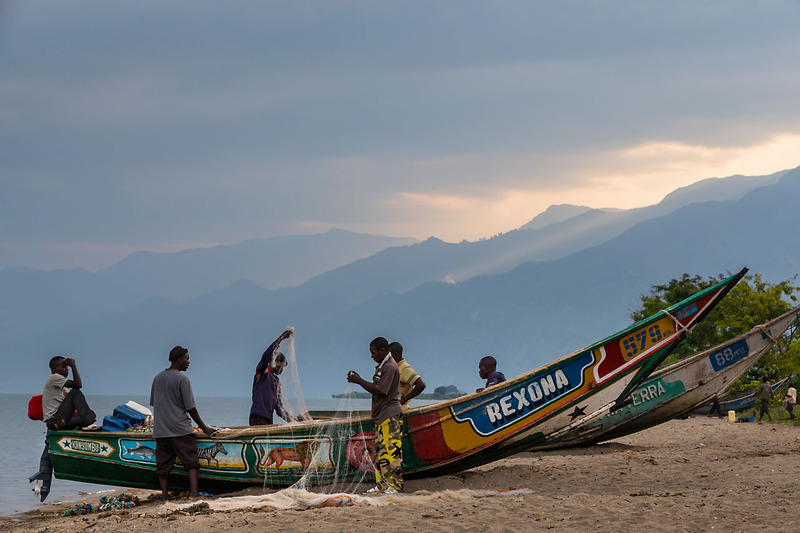 As the main tourist attraction of the country, Virunga also has great potential: 30 per cent of tourism revenues are invested in community projects that directly benefit the people of this impoverished region. WWF, which has been active in DRC for over three decades, invites the Congolese government to renounce all actions that would lead to the modification of Virunga’s current boundaries, and instead focus on long term sustainable development solutions. WWF will continue to fully support the government in the endeavor to maximizing the unique economic potential of the park while preserving its ecological integrity. 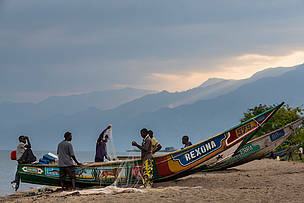 Villagers tending to their nets in the fishing village of Kavanyongi on the northern shores of Lake Edward in the "Block V" area of Virunga National Park, Democratic Republic of Congo. About 27,000 fishermen make their living in Virunga's Lake Edward, which is ground zero for Soco's oil exploration.